"Thank you, Kameryn, for blessing our hearts with your positive attitude and your willingness to share your love for officers across the country!" KNOX COUNTY, Tenn. — The Knox County Sheriff's Office is pretty excited this Thursday morning. Why, you ask? Because one of their officers was "the lucky recipient" of an act of kindness. 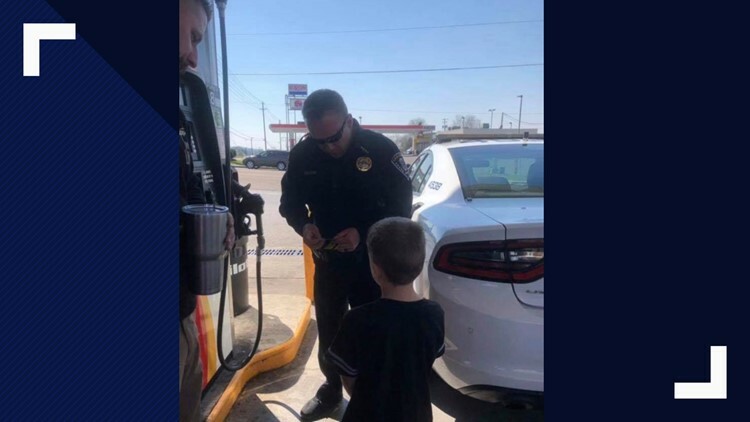 Officer Coleman met Kameryn Chebetar, a young boy who started an initiative called "Pennies for Police," and got one of his pennies, a Facebook post from KCSO said. Chebetar gives officers he sees a "lucky penny to remind them they are appreciated," according to the post. The post also said Chebetar wants to become an officer himself on day. "Thank you, Kameryn, for blessing our hearts with your positive attitude and your willingness to share your love for officers across the country!" the post continued. A little bit of positivity and inspiration can go a far way!